The AIUB Journal of Business and Economics [AJBE] is going to start the sixth volume with the current issue - the twelve consecutive issues in the history of AIUB since January 2002. In celebration of this grand occasion, the editorial board of AJBE has decided to publish the Address of H.E. Mr. Fidel Valdez Ramos, Former President of the Republic of Philippines; and Chairman of the Ramos Peace and development Foundation [RPDEV] and the Boao Forum for Asia [BFA], during the Commemoration of International Migrants' Day and Book Launch of 'Democracy and Discipline: FVR and His Philippine Presidency' at Grand Ballroom, Philippine Plaza Hotel, Pasay City, Philippine on 18th December 2006. H.E. Mr. F. V. Ramos delivered the speech with a theme of 'Nationalism Without Borders' as the keynote speaker in the program. As the Vice-Chancellor of AIUB, I thank him for delivering a magnificent lecture. It was a great occasion for AIUB when its Vice Chancellor Dr. Carmen Z. Lamagna received the 2006 presidential award in Manila, Philippines on December 07.2006.It was a great honour for her and also for her workplace AIUB. She was also chosen as the spokesperson of the 48 awardees on this historical occasion and she rendered this acceptance speech. In this speech she has placed her love and affection to her country, people and her family.Her speech echoes her indomitable spirit, unique sense of duty, and sincere devotion to her work. This study examines the relationship between self-efficacy and sales performance of insurance agents in Singapore. Survey instrument developed and validated by Barling and Bettie (1983) is used with minor amendments. Data were collected from full-time life insurance agents working for the Big Four life insurance companies in Singapore. A total of 600 questionnaires were distributed and 303 of them (51%) were returned. Multiple regression analysis was used to test the hypotheses. Results show that the number of insurance policies sold is predicted by all the three constructs of self efficacy, as well as by the composite of the three constructs. Further, sales experience significantly moderate the relationship between expectancy belief and premium earned. Implications of the findings are discussed. This paper has taken an attempt to identify some key agents of production process of agro processing SMEs relating to productivity and performance. In order to assess the current performance, this study has focused on the density of total as well as indigenous technology of the vital economy generating sector. Indeed, main focus was on the impact of technology density on the value addition process. The results demonstrate that the density of technology is one of the key dominant factors among the inputs of production process which is usually controlled by the value added index. It is also found that implementation of S & T policy is one of the principal barriers of value added process. This paper is ended with an empirical model relating to technology density for the sustainable growth of agro processing SMEs of Bangladesh. The author's hope, the analytical framework proposed for the growth of agro processing SMEs would be an effective tool for agro business and as well for the government for their decision making. from 1979 to 1999 by using non-parametric approach. This study further attempt to identify the most and the least technologically developed, and innovative districts. This study finds that the modern technology has helped in increasing the productivity which is largely contributed by the growth in technical change, and we further failed to identity any district as the sole innovator who contributed to shift the frontier in Bangladesh agriculture. The results suggest that the knowledge on the technology has not been spread equally among all the districts to remove the district level disparities. This paper scrutinizes the Loan Repayment Performance (LRP) of long-term industrial projects financed by the Bangladesh Shilpa Rin Sangstha (BSRS). The objective is to analyze the LRP through few criteria such as sectors, location, project-cost, security, interest-rate, debt-equity, scale, directors, classification, department, litigation, debt default, status, and ownership. The results show that all criteria as mentioned above, except debt-equity, can significantly influence the LRP. However, when only operational projects are considered, the industrial-sector, location, interest-rate, debt-equity and the number of directors of the companies are probably indifferent and have no significant influence on the LRP. The LRP of a company could probably be satisfactory if some combinations of the conditions such as a public limited company, costs of project is higher, value of security offered to the bank is higher, scale of industry is larger, past loan classification history is good, no default history of the borrower, no legal action was required in the past against the borrower, and there is every possibility that the company will be an operational one. These findings have important implications for banks, policy makers and owners. BSRS has further evidence to justify long term lending to projects showing relatively better Loan Repayment Performance. Bilingualism in Bangladesh: Dysfunctional Reality, or Functional Myth? Taking into account the issue of creating and utilizing an efficient workforce for the real-life domains in and outside Bangladesh, the imparting the need-based communication skills in both English and Bangla to the target groups is undoubtedly the need of the moment. This paper therefore investigates and deals thoroughly with the fundamental question of 'effective bilingualism' for this workforce and shows how the country's present bilingual education system and language policy have been thwarting the formation of that bilingual workforce. And subsequently the paper argues how both English and Bangla have turned out to be liabilities rather than assets for our country while the creation of resource personnel for both intra- and international domains still remains a far cry. This paper is an agenda for a comparative research study on inventory management in selected universities of Bangladesh and Malaysia. 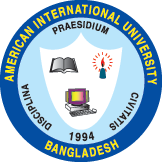 The paper proposes to include in its scope (1) Bangladesh Open University, (2) Dhaka University and (3) Bangladesh University of Engineering and Technology on the one hand, and (4) International Islamic University, (5) Universiti Malaya and (6) Universiti Technologi Malaya on the other. In these non-profit organizations of Bangladesh and Malaysia, where investment in current assets is enormous, inventory management is of paramount importance for the success of their operations. However, here the authors have first discussed the background of the study in order to identify the problem area and to determine the objectives of the study. Then they have enunciated the problem in terms of certain questions and set the objectives. Thereafter, they have spelt a few words on the rationale as well as the methodology & work design of the study, and finally, have drawn a concluding line.